Where are you going to stay when you visit Big Sky, Montana? Take your pick of guest ranches, vacation rentals, or one of the tried and true hotels in Big Sky. From budget friendly to boutique experience, there are several different Big Sky hotels to choose from. Where will you stay? 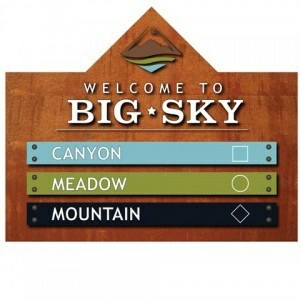 Big Sky hotels are typically an easy, affordable, and quick solution for all of your lodging needs. 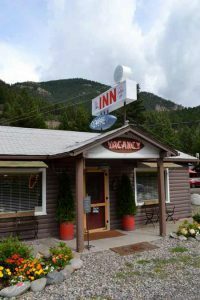 These friendly businesses cater to travelers like yourself by providing single rooms, condos, or cabins that are just a short walk, drive, or bus ride from anything you want to do in this mountain town. These Big Sky hotels are kind of the perfect place to set up shop for a day, a week, or even longer. Whether you’re here to ski, climb, hike, fish, work, or bike one of the Big Sky hotels is a good place to stay. Every Big Sky hotel is different, but most offer amenities like high speed Internet, free breakfast, kitchenettes, pool, fitness center, room service, and easy access to the Gallatin Canyon, Town Center, Mountain Village, and Big Sky’s sprawling back yard. FYI – Some of these hotels are even pet friendly like the Huntley Lodge, Buck’s T-4, and the River Rock Lodge. These Big Sky hotels operate year round. It’s smart to book your lodging before you arrive. If you choose to come during one of the busier times – PBR, President’s Week, New Years, or 4th of July, you’ll want to book months in advance. You can always check availability and book these Big Sky hotels online via websites like Kayak or Orbitz. But it’s always better to pick up the phone and call them directly or visit their website. That’s often how you tap into the best Big Sky hotel deals and discounts! There are plenty of other of lodging options in our neighboring towns of Bozeman, Belgrade, and West Yellowstone too. Most of these options are about an hour away from Big Sky, but could be another alternative if need be. Check out the websites of these Big Sky hotels to find the best lodging option for you and your crew. Once you’re booked in, it’s time to focus on the rest of your stay. The Visit Big Sky site can help you find all sorts of fun activities and things to do while your in town. Feel free to stop by the Big Sky Visitor’s Center for more info too. We’re located across from the Conoco on Highway 64 and we’d love to point you in the right direction. See you soon!